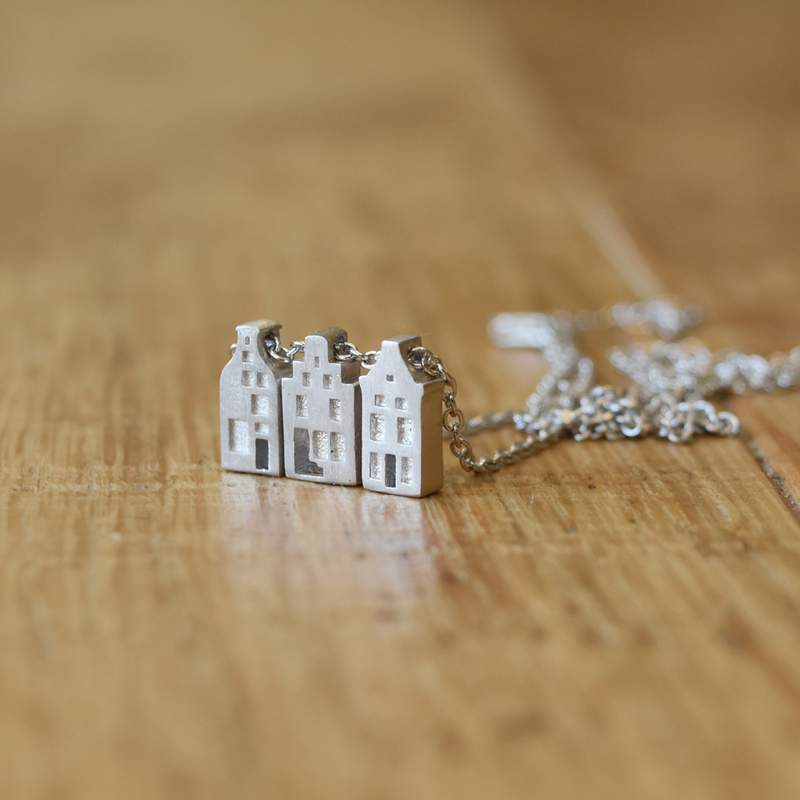 Our beautiful, limited-edition Dutch canal houses are crafted from 100% 925 sterling silver. 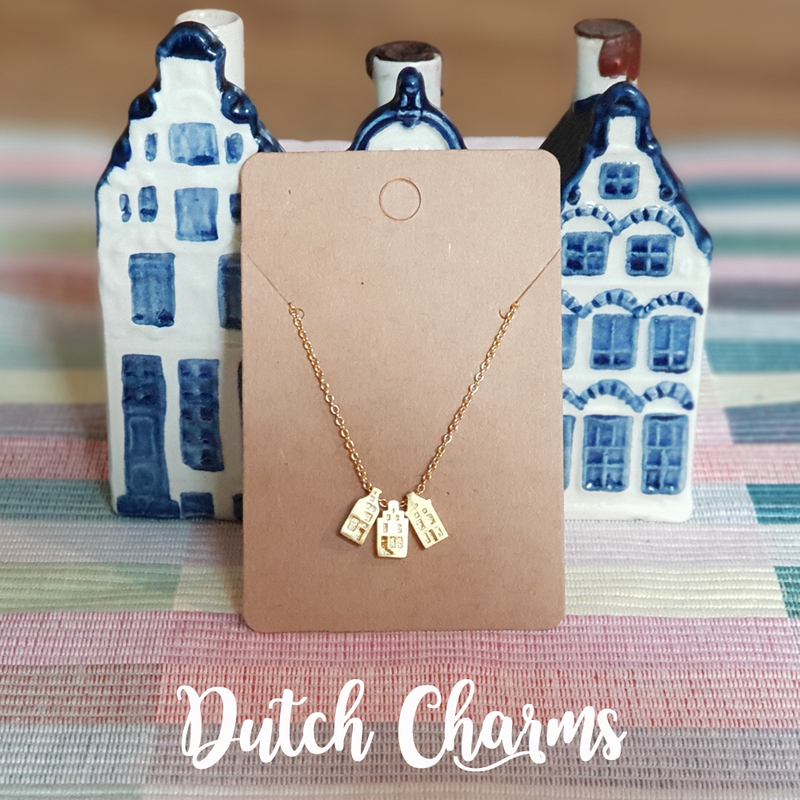 This unique Dutch jewellery is the perfect gift for yourself or someone you care about. Includes 3x canal house charms on a 50 cm (20 inch) 925 sterling silver, adjustable chain. 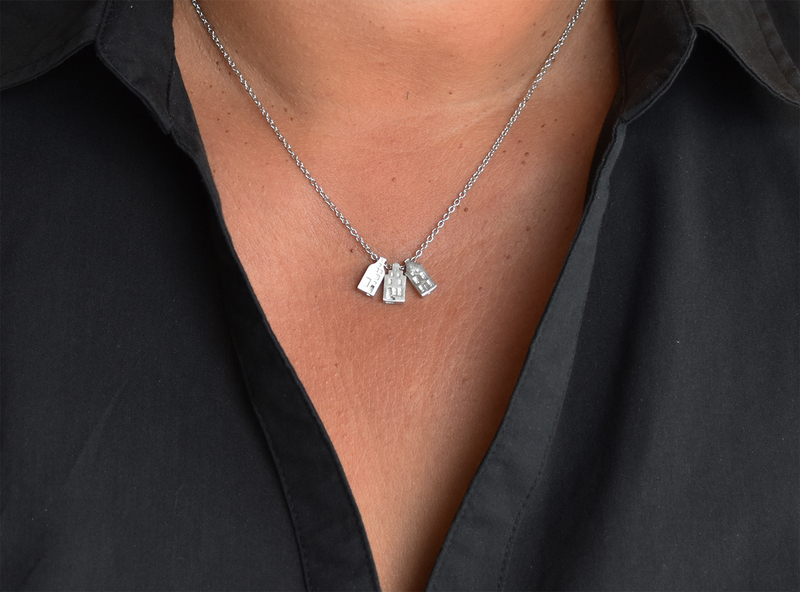 There is an option to have an additional 24k gold plating for both the charms and the necklace. 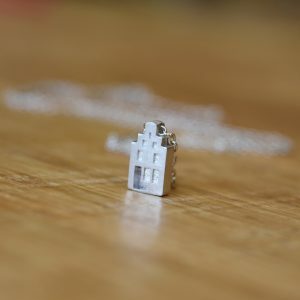 Gift wrap this item for USD $1.99?